As a construction worker, you place yourself at risk for serious injuries on a daily basis. In addition to working with heavy machinery, you’re often forced to complete jobs on rushed deadlines and at dangerous heights. These risks can lead to serious on-the-job accidents that can put you out of commission for days, weeks, months, or potentially, forever. The Occupational Safety and Health Administration (OSHA) considers construction sites as some of the most dangerous workplace environments for American workers. Construction site accidents account for one out of every five fatalities in the private sector. The construction accidents that aren’t fatal account for thousands of victims every year being unable to return to work as a result of their injuries; sustained injuries range from broken bones, light burns, and cuts to paralysis, amputations, brain and spinal trauma, or death. To protect construction workers from catastrophic injuries, OSHA has instigated strict safety rules for construction sites and employers. However, accidents still happen as a result of negligence, incompetence, and indifference. This is where workers’ compensation laws come into play. Electrical accidents. Electricians aren’t the only ones in danger of suffering from electrocution. Construction sites often have live electrical wires and exposed power lines to charge tools as well as for integration into the construction project. Working near these power sources and dealing with defective equipment can result in electric shock or electrocution if the exposed wires touch metal, water, or skin. Equipment accidents. Heavy machinery and power tools are dangerous when used improperly. Unfortunately, they’re also difficult to control in construction site conditions. Furthermore, defective tools or equipment can increase the risk for accidents like crane collapses, scaffold falls, and nail gun punctures. Falling debris accidents. Construction sites often rise many stories off the ground. Too often, debris such as tools, building materials, and trash fall from the upper levels and strike workers below. 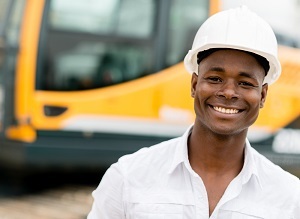 Even a hard hat can’t provide enough protection to prevent a falling object from causing head and brain injuries when it hits a construction worker. Fall accidents. Falls account for many injuries and deaths among construction workers each year. Falls can occur from any number of things, ranging from a wobbly ladder to insecure scaffolding. If you or a member of your family has been injured as a result of unsafe equipment or neglect, it’s important to learn about your rights. For more information, contact an experienced construction accident attorney at the law office of Steven M. Lee, P.C., at 713-921-4171 or 800-232-3711. Steve Lee has been in the same location for more than 35 years. Within that time he has spent his time helping injured construction workers and their families recover the compensation they deserve from day one. Isn’t it time you took advantage of his experience? Call now! Are You at Risk for Construction Site Injuries?